Weston-super-Mare is certainly still a popular place to retire but it’s also rapidly expanding. This is causing people’s traditional view of the seaside town to change. 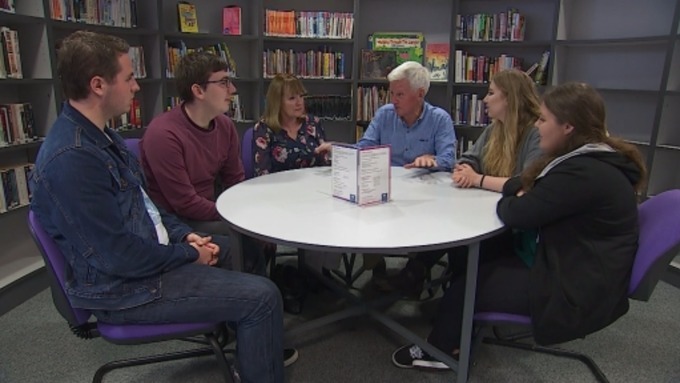 ITV News brought together a group of young people, a representative from North Somerset Council and someone who has lived in Weston for nearly 50 years to discuss its future. The aim was to find out what young people who live in Weston think of their town and whether they’ll be sticking around to watch it grow? When I was younger I wasn’t overly fond of the town but as it’s started embracing a more Bristol-esque kind of atmosphere, I like where it’s heading and I think that’s a good place. I think it should continue heading where it’s going. Education-wise we’re moving forward. However, leisure activities and social activities are still moving a bit slower behind. We’re starting to get a new cinema, new shopping complexes for jobs but it’s moving at a rate that people my age will be moving away to go and do those sort of things. I would prefer to move somewhere else eventually because I see this place as more of somewhere to grow up in because it has very family-friendly places and somewhere to return to when you’re elderly and want to have a nice peaceful place to go to. Sue Maguire has seen huge changes in Weston since the 1960s and she’s keen for young people locally to be given great opportunities. Young people are our future. In years to come they’re going to be the people who are sitting where we are today so they’re training the next generation, if you like. So yes, it’s important. Everybody’s got their role to play and that’s how life evolves. Weston-super-Mare’s MP John Penrose is optimistic that going forward the growing town will be able to hold onto its younger generation. If you look back 10 or 15 years not that many people stayed on into further education into higher education. We were well below the national average. Nowadays we are above it and more and more people are staying on to do that kind of thing. That just shows the level of skills that we’re developing in the local population, that’s attracting more employers with interesting and exciting new jobs. Although some young people may see their future outside Weston there is hope yet that going forward the age gap can become smaller as the town becomes bigger.